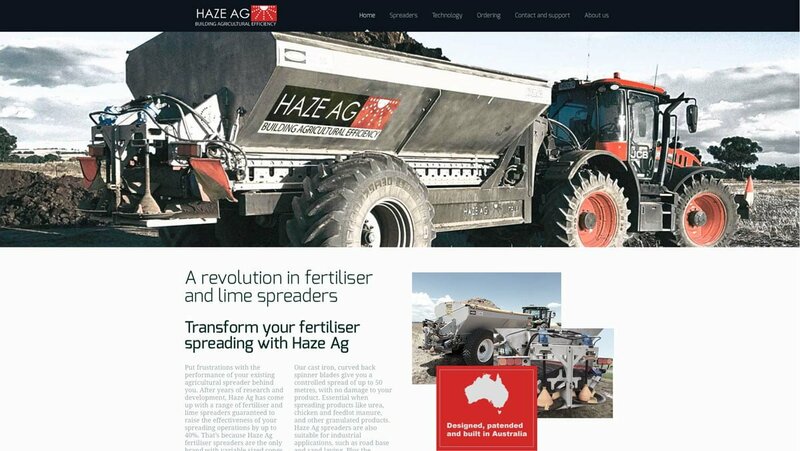 If you haven’t already heard of Haze AG, they’ve developed a fertiliser and lime spreader unique to the market, offering their customers a huge range of operational and maintenance benefits. Haze Ag approached us to create a professional web design to convey their message about their competitive market. They also needed help with setting up new Facebook marketing campaigns and Google AdWord Campaigns promoting their spreaders. Haze Ag is based just outside our hometown of Orange. But if they’d been based in Bathurst, Sydney, Melbourne, or anywhere else in Australia they would have received equally successful outcomes. So no matter where you’re situated, get in touch with Social Web Works today and find out what a huge difference we can make to your online and marketing success.